When you’re reading a text message and someone sends an Emoji, do you ever make a little sound in your head to go along with the picture? The TeleSound is a cute little speaker that puts sound to over 1000 Emoji icons, letting you send a unique kind of message to your friends. 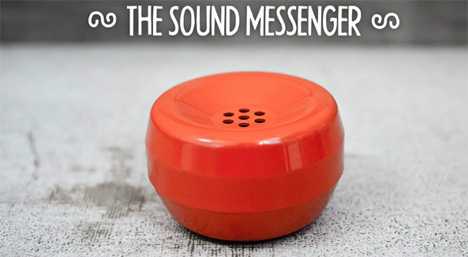 Styled after a vintage rotary phone, the small round speaker is wireless and features Bluetooth connectivity to your smartphone or tablet. 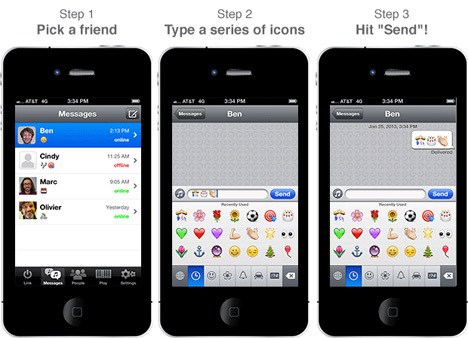 People on your friends list send Emojis to you and they’re automatically played as sounds from your TeleSound. It’s kind of like a language, with every character representing its own unique sound. If you get sick of the sounds and want to escape for a while, you can just turn the TeleSound upside down to go offline. When you get more than 30 feet (10 yards) away from the speaker you’ll go out of range, but when you get back into range you’ll be automatically re-connected. The project is on Kickstarter to raise funds for their first round of production. You can back the project and get your own TeleSound in a variety of colors. Even if none of your friends get their own, you can use the TeleSound’s “play” mode to just mess around with all of the sounds.